Bavaria in southern Germany transforms into a winter wonderland with the first snowfall each year. Ski resorts fringe the Alpine border towards Austria and Switzerland and promise the best of fun for winter sports enthusiasts. We’ve created the ultimate skiing guide to Bavaria and take a look at three of the best towns for you to clip on those skis. 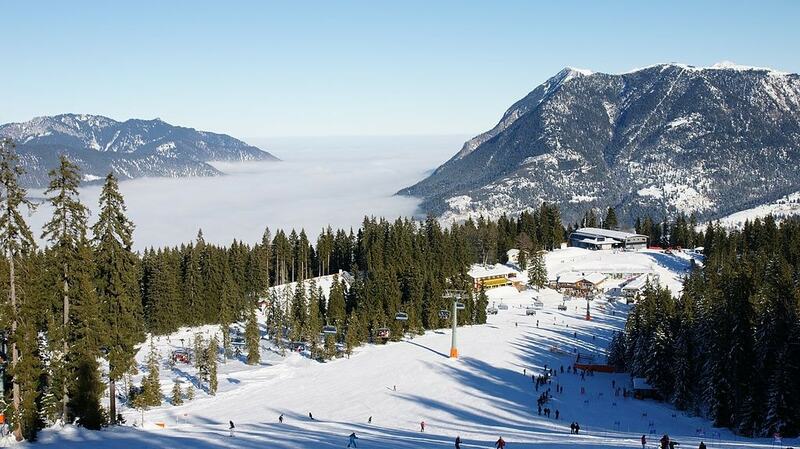 Garmisch-Partenkirchen is Germany’s winter sports capital. The two joint towns of 27,000 people hosted the Winter Olympics in 1936, and the event put it on the map for international skiing competitions. Nestled in the foothills of the Wetterstein mountains, they are overlooked by the mighty Zugspitze, the country’s highest mountain. Nearly a dozen ski areas are within reach and offer a vast array of pistes and activities for both beginners and seasoned skiers and snowboarders. Garmisch Classic and the Zugspitze are the most popular ones. 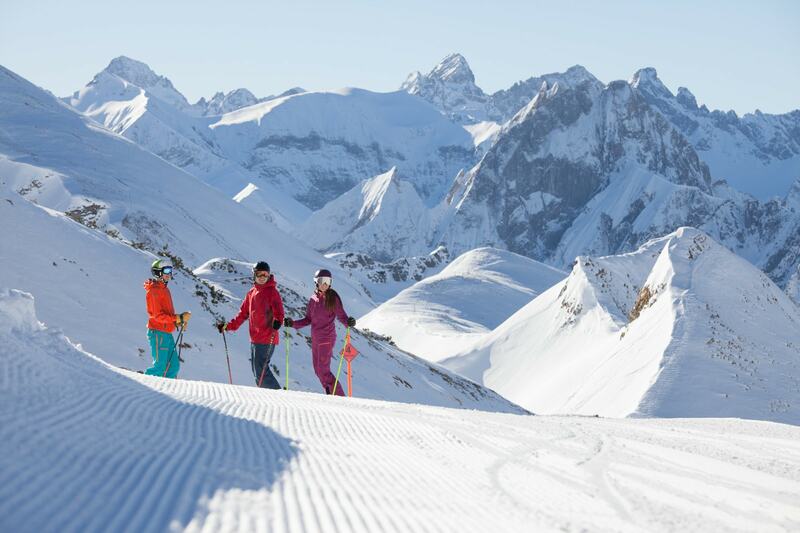 Forty kilometres of well-maintained pistes traverse the Garmisch Classic resort. Several gondolas and lifts transport the crowds up and down the three peaks at an altitude of 700-2,050 metres (2,300-6,725 ft). The Hausberg offers the greatest variety for newbies and families with a large number of blue and red sections and a dedicated kids area at the summit station. Alpspitze is great for those who want to enjoy each ski-run and the panoramic views over the mountains. More experienced skiers tend to focus on the Kreuzeck section, which features more demanding runs, including the legendary Kandahar piste – the downhill record for the 3,700-metre-long run is less than two minutes. In 2015, the Hexenkessel snow park opened with some jibs, jumps, boxes and rails to give freestyle snowboarders and skiers a space to work on their tricks. 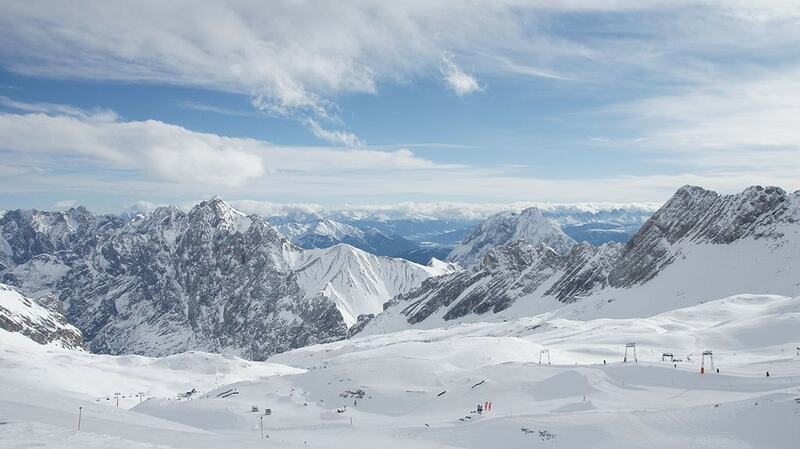 The Zugspitze is home to Germany’s only glacier skiing area and snow is pretty much guaranteed for six months out of the year. While the area attracts a lot of beginner and intermediate winter sports fans who mostly resort to the organized piste network of 20 kilometres and the fun park, the Zugspitze draws thrillseekers on the search for virgin slopes and waist-high powder snow. Taking on the freeride zones does require an advanced skill set and Alpine know-how, though, and should not be underestimated. A cogwheel train or a cable car takes you up to 2,720 metres (8,924 ft.) above sea level and straight into skiers’ heaven. 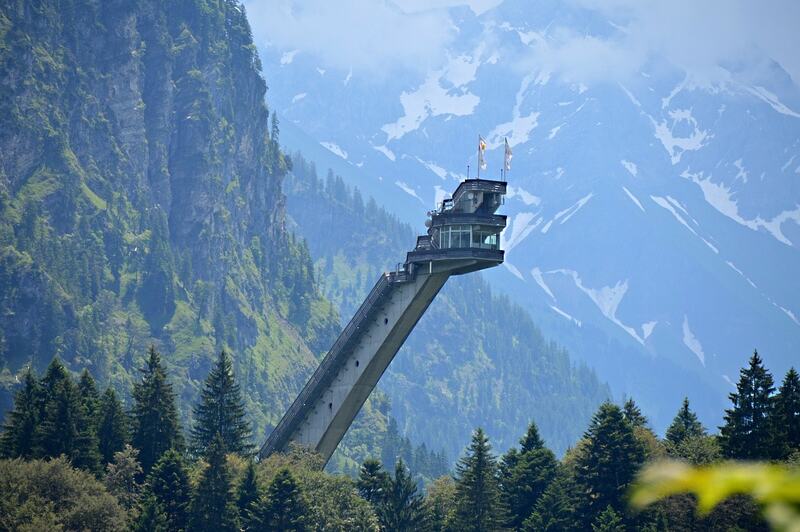 The jaw-dropping view of the Alps from atop the summit station is unmatched in Germany. Both the mountain huts and downtown restaurants wait with sumptuous food and potent drinks after a long day of skiing, but the crowds here tend to be more sober-minded than those you find in Austrian party resorts. While Partenkirchen closes the shutters fairly early, Garmisch has a lively nightlife scene with bars and pubs. Those who do crave a full night out should look towards the venues in the town centre. John’s Club, Music Cafe, and Miris Hütt’n are all open until the early hours of the morning and host cocktail and beer-fueled parties. 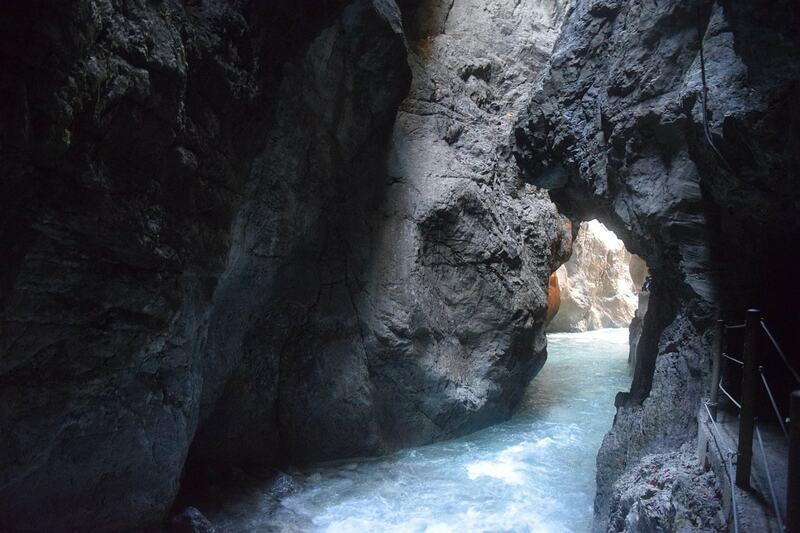 If there’s one thing you shouldn’t miss during your trip to Garmisch-Partenkirchen, it’s a hike through the Partnach Gorge. In the winter months, the glacier water that trickles down the rugged walls turns into a giant sheet of icicles. Put the village of Grainau and the nearby Eibsee on your list for more magical views. The circular path around the lake is ploughed in winter and allows easy access to the area. History fans should know that Garmisch-Partenkirchen originated in A.D 15 and the cobblestoned Ludwigstraße is a trace of the Roman Via Claudia Augusta that once connected Italy with settlements north of the Alps. The local Werdenfels Museum is worth considering to learn about the more recent history, folk art and cultural events between today and the 16th century. Garmisch-Partenkirchen is about 90 kilometres from Munich. You can either rent a car or opt for public transport. If you book ahead of time, trains tickets can be as cheap as 22 € one way and get you there within 75 minutes. If you’re on a budget, Flixbus coaches operate between Munich and Garmisch-Partenkirchen year-round and, if traffic allows, cover the distance in the same time for as little as 6 €. Oberstdorf is nestled against the Swiss border, halfway between Lake Constance and Garmisch-Partenkirchen. The town of 10,000 people hits the news every year when it hosts the ski jumping world cup event, but also draws an incredible amount of non-professional skiers and snowboarders to the Allgäu mountains. 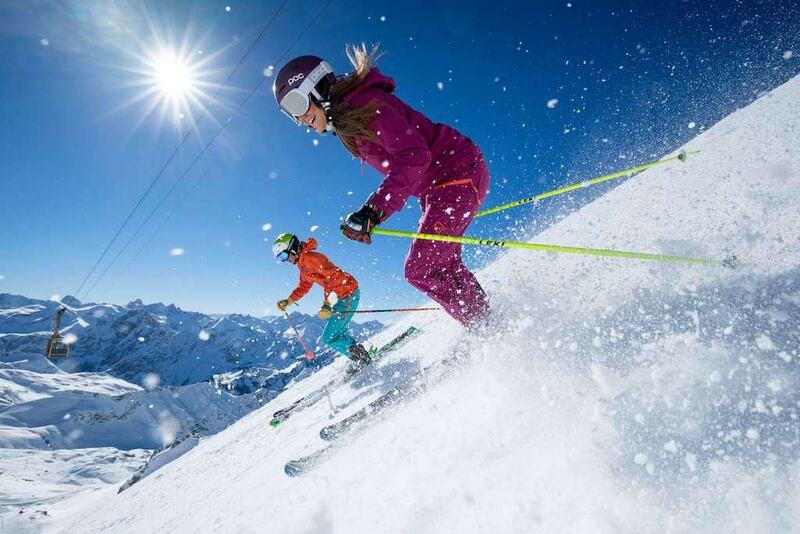 From Oberstdorf, you can reach six different ski areas with a combined 130 kilometres of slopes for both beginners and advanced winter sports fans. Nebelhorn and Fellhorn/Kanzelwand are the most popular ones, followed by Söllereck, Walmendingerhorn, Ifen and Heuberg. The Nebelhorn ski region ranks in the top three of the highest ones in Germany and has developed to be one of the most versatile ones as well. Your arrival at the mountain station is met with jaw-dropping panoramic views of the 400 peaks around you. Thirteen pistes, including the record-breaking 7.5-kilometre downhill run, zig zag across the mountain range and offer terrain for skiers, freeriders and snowboarders. But even non-skiers and snowboarders get their money’s worth – you can rent the latest fun sports equipment, explore a couple of ploughed winter hiking trails or take on the sledge run. A trip to the Fellhorn/Kanzelwand ski area allows you to ski in two countries within one day. The pistes of the top resort spread across the German and Austrian sides of the Alps and are open to those who can comfortably take on a beginner’s piste. A total of 36 kilometres of blue, red and black snow-covered slopes ensure enough variety for those starting out and more experiences snowsports enthusiasts. Several high-end lifts and gondolas – some of them are equipped with heated seating – take you from one spot to another. Other highlights are the fun slope on which you shoot down on 800 metres of steep turns, tunnels and other manoeuvres and a dedicated freeride park with obstacles and mogul slopes. While the huts, bars and restaurants in the ski resorts do serve a cold beer after a long day of skiing, the parties are unlikely to escalate into full-blown après-ski events. If you’re looking for all-night shenanigans, Oberstdorf might not quite be the top pick of destinations. The picturesque town is the perfect gateway for hikes and long walks, but make sure you don’t miss out on the Breitnachklamm Canyon, the deepest one in all of Central Europe. A wooden boardwalk takes you through the gorge that has formed over thousands of years. Winter sports fans will also enjoy a trip to the Audi Arena ski jump, which is the scene of the annual Four Hills Tournament. Outside of the competition, you can watch ski jumpers doing training runs and enjoy panoramic views of the valley from the viewing platform. Deutsche Bahn trains connect Oberstdorf to the major German hubs – it’s about 4.5 hours to Frankfurt and 2.5 hours to Munich from here. Ticket prices vary depending on how far in advance you book, but can be as cheap as 55 € one way. It’s well worth checking if there are flights to either Memmingen (80 kilometres to Oberstdorf) or Friedrichshafen Airport (95 kilometres to Oberstdorf) available as well. 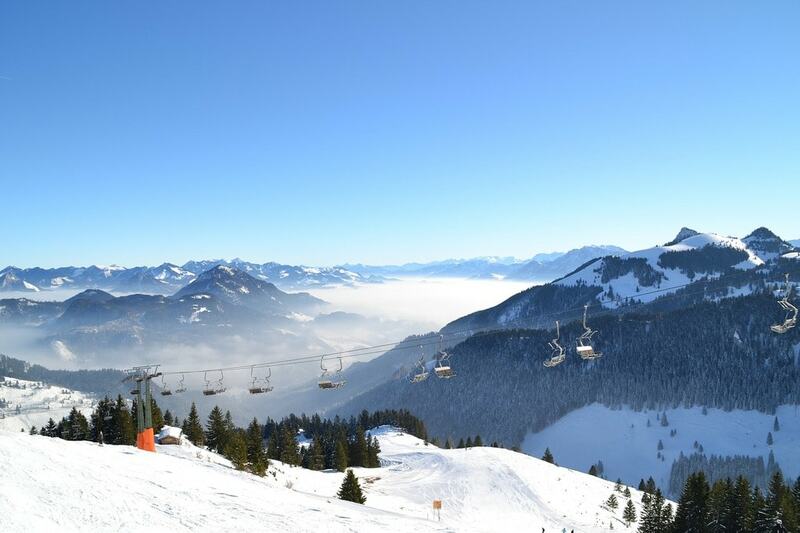 A good hour’s drive south from Munich, the Sudelfeld ski resort boasts 31 kilometres of spacious ski pistes and 19 gondolas and lifts that traverse the area and make sure you get the most out of your day in the mountains. While the pistes cover all difficulty levels from absolute novices to advanced skiers and snowboarders, the resort is known to be particularly family-friendly. Not one but two supervised areas are sectioned off for kids with easy ski slopes, snow tubing, ski courses and plenty of events that keep the little ones busy while their parents explore the slopes. Adults can take on the slopes between 850-1,563 metres (2,789-5,128 ft.) altitude on their own, or as part of an entry-level, advanced or professional ski and snowboard course as well. For a bit more of an adrenaline rush, both young and old snowsport fans should check out the newly developed snow park with a freeride cross trail, boxes, ramps and rails. Similar to the Oberstdorf ski regions, Sudelfeld doesn’t offer much of a crazy nightlife. Huts and umbrella bars in the ski area are open until around 6 pm and serve cold refreshments. Don’t expect party music and people dancing on the tables, though. If you do fancy a night out, maybe look into catching a 30-minute-ride across the border to Austria for a few drinks at Stollen 1939 in Kufstein. The bar stocks more than 500 types of gin alone. 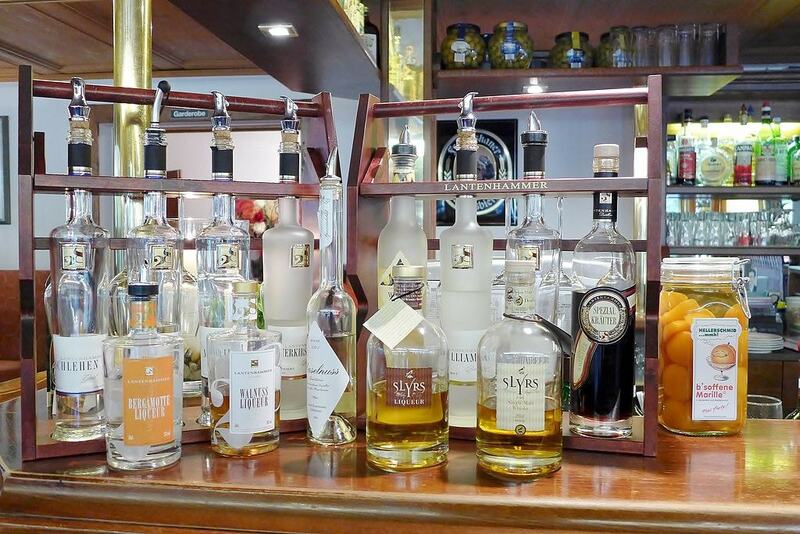 Speaking of booze: Bavaria’s only whiskey distillery Slyrs is a mere ten minutes away from Bayrischzell and offers tours and tastings on a daily basis. If you rather spend your time outdoors, both Tegernsee Lake and Schliersee Lake are great for a day’s worth of exploring the region. The Sudelfeld ski region is about an hour’s drive south of Munich or a 90-minute train ride. If you depend on public transport, a direct train brings you from Munich’s central station to Bayrischzell, which is recommended as a base for your trip. From here, regular shuttle buses bring you to the ski lift every day.